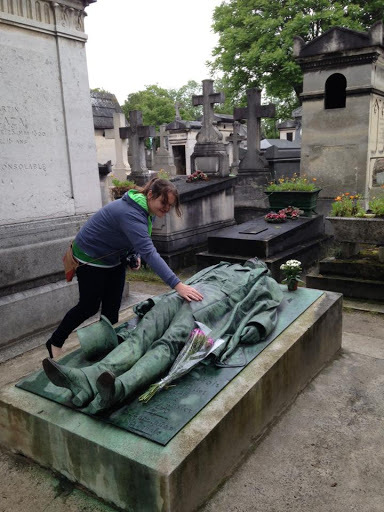 Three Things every Irish Person Should Do in Paris – Where's Clair? I’ve written before about how disappointed I was with my recent trip to Paris. It’s true to say that I did not exactly fall in love with the place, but there were a few things that I did enjoy. Ironically these things had a distinctly patriotic feel to them. So here is a little list of the three things every Irish person should do in Paris. 1. Visit the grave of a literary genius. In a bid to be the World’s most Irish tourist after frequenting a hoard of Irish pubs, we went to visit the grave of one of Dublin’s most flamboyant, and celebrated literary greats, Mr Oscar Wilde. I have been a huge fan of his work for a very long time and The Picture of Dorian Gray is one of my favourite books to this day. 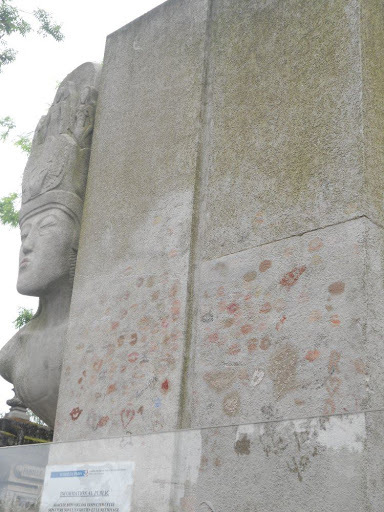 It is no surprise that Oscar Wilde’s tombstone sticks out a mile in Pére Lachaise cemetery. Towering over many, the huge modernist construction depicting an angel is easily identifiable among the traditional gravestones and tombs. It looks almost Egyptian in style and it felt so apt for Oscar. Tradition dictates that visitors to the grave don brightly coloured lipstick and kissed the gravestone in tribute. You can see the reminiscence of previous fans who have come to pay respects all over the sides of the tomb. Sadly the act is now prohibited and a large glass wall surrounds the tomb. Due to the cost of cleaning the stone, a fine has been instated for those caught defacing the grave, but I think Oscar would have rather liked it. So did I rebel against the law and pay my respects? Well…… that would be telling! 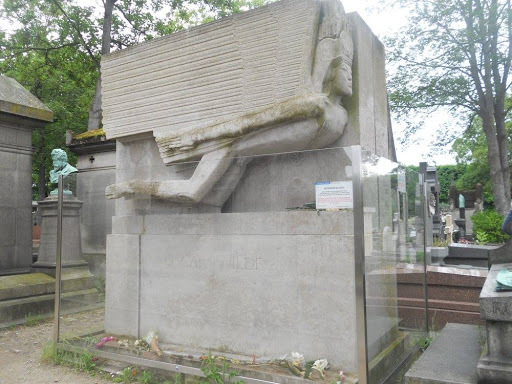 Other famous people buried at Pére Lachaise include Victor Noir, heralded a bit of a stud, the French Journalist’s grave has become a well known fertility symptom. It is believed that rubbing the crotch of the bronze statue brings fertility, so I had a little try and I will let you know how I get on! Don’t forget to also visit the grave of musician Jim Morrison where fans have been known to sit and drink beer, leave souvenirs and wrap bracelets around the barriers and bizarrely, stick half eaten chewing gum on a nearby tree. 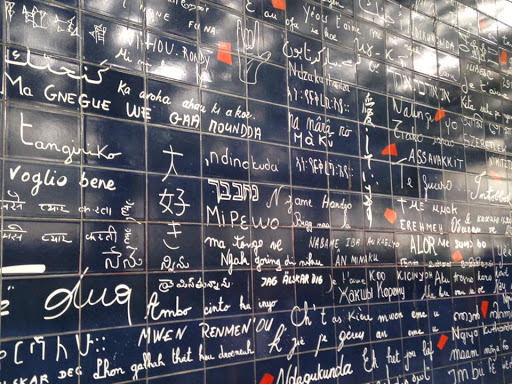 Located in the Montematre area, Le mur des je t’aime (I love you: the wall) provides a dash of calm in an otherwise hectic city. The mural was inspired by Frédéric Baron who dreamed of travelling the World to find 80 I love yous. 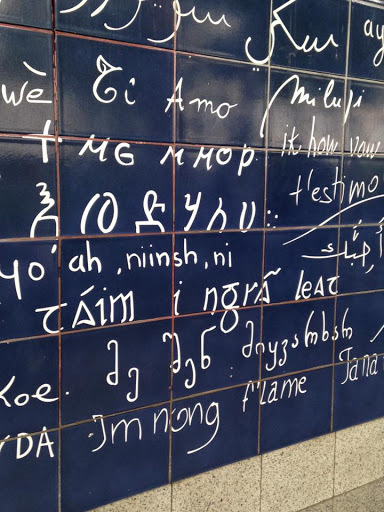 He didn’t actually leave, instead asking neighbours to write the phrase in his notebook in different languages. By the time he was done, the book contained over 1000 I love Yous in over 300 languages. 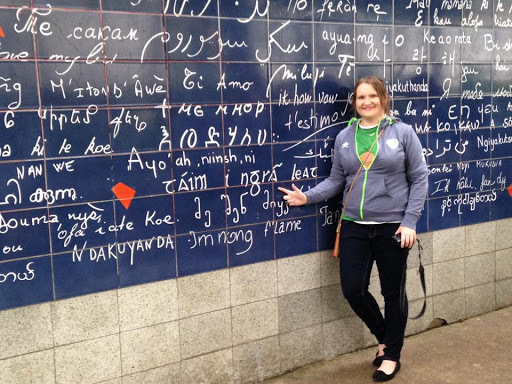 Of course one of the essential things for any Irish person to do is the find the words “T’áim i ngrá leat” if you want to be a true Irish tourist. You won’t be looking for long. Promise. 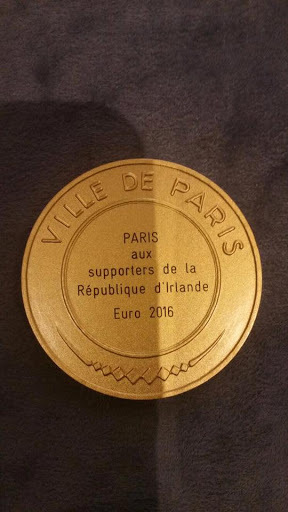 The final thing that every Irish person should do in Paris is do our country proud. This goes for every place we visit, but particularly in the aftermath of an incredible Euro 2016 which saw Irish fans win the hearts of all of Europe. 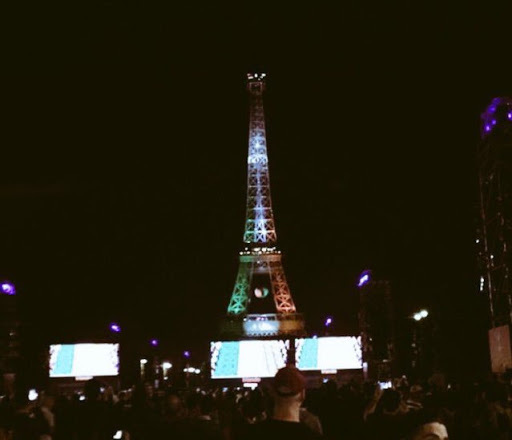 From winning the City’s Grand Vermeil medal, to turning the Eiffel Tower green, white and orange, Irish fans truly left their mark. So wherever we go, lets all continue to bring that Irish charm. So there we have it. My three things that every Irish person needs to do in Paris and I didn’t even include a single pub! Previous Dear Paris…. It’s Not Me, It’s You! This is so interesting and such a unique perspective! I never really thought about how being a different nationality can influence your experience in different cities, what a great post!